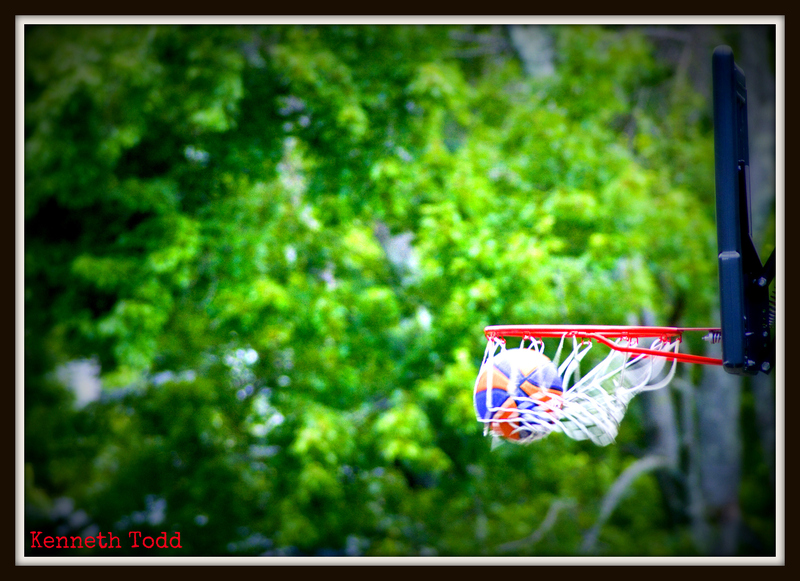 I was actually waiting for a bird this afternoon / evening and my daughter was shooting hoops at the neighbors house. I could just see the ball going in over the top of a hedge. So I thought that would make a good shot (excuse the pun).